Preheat your George Foreman® grill. For the Evolve Grill, preheat to 375° and grill for 3-4 minutes. For the Indoor/Outdoor grill, preheat to setting 3 and cook covered for 4-5 minutes. Rub fish with Cajun spices and oil. Place fish on grill and grill for 2 to 3 minutes. Combine yogurt, lemon juice, herbed cream cheese, salt and pepper in a small bowl. 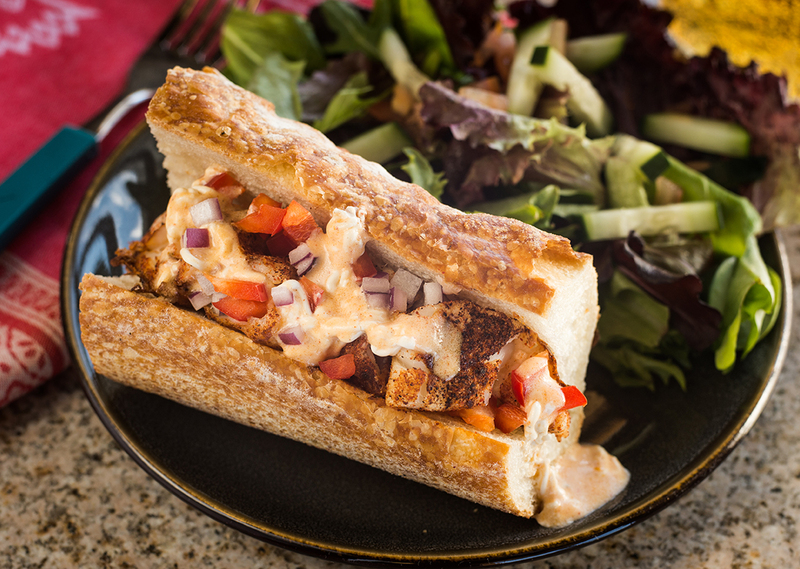 Spread zesty herb sauce on baguette and add vegetables and fish.